I received these items complimentary to test and review. All content and opinions are entirely my own. This post contains affiliate links. See our Disclosure Statement for more information. Looking for hair products that add shine and volume without weighing your hair down? 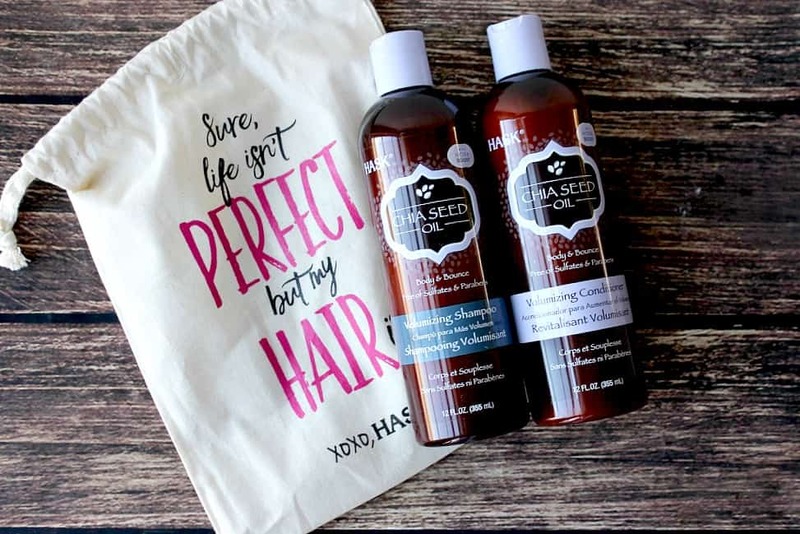 Check out this review of the Hask Chia Seed Oil Volumizing Collection to see if it’s right for you! My hair is long and has gotten finer and finer as I get older. I also have PCOS which can cause hair loss so finding hair products that add volume and shine, without weight is absolutely essential! Not many products work for me, but after trying the Hask Chia Seed Oil Volumizing Collection, I can honestly say I have seen an improvement! Chia seeds are known for their volumizing properties. They also contain antioxidants and shine-enhancing nutrients. Both the shampoo and conditioner are formulated with HydraBoost to add volume and shine without weighing hair down. In the past, I haven’t been too particular about the shampoo I use. I usually just avoid moisturizing shampoos because, for me, they tend to weigh my hair down and make it look frizzy (weird, I know). 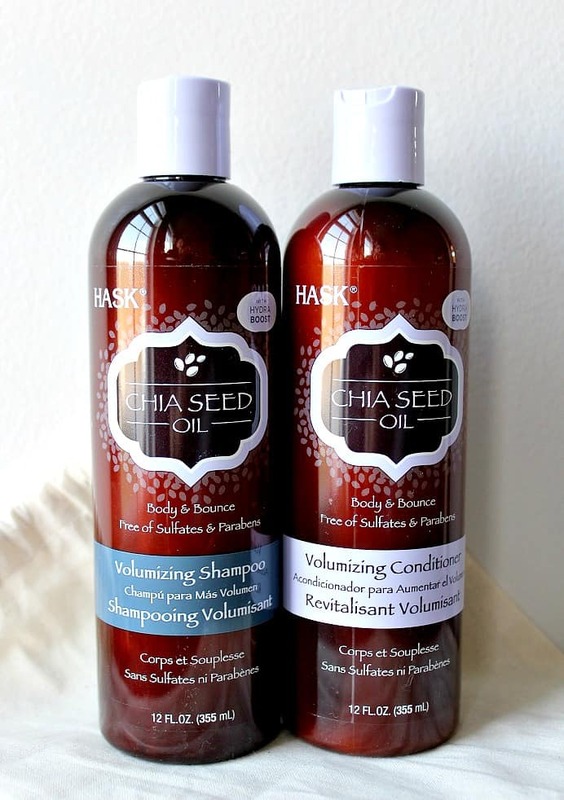 The Hask Chia Seed Oil Volumizing Shampoo smells amazing. I found out the hard way that a little bit goes a long way! My hair is down to the middle of my back and a dime-sized amount was plenty enough! I am very picky about the conditioner I use. Once I find something that works, I’m not one to stray. I was a little nervous about the results I would see from the Hask Chia Seed Oil Volumizing Conditioner, but I seriously love it! The scent is very similar, if not identical, to the shampoo. Again, a small amount goes a long way! I am pretty amazed at the way my hair looks and feels after using the Hask Chia Seed Oil Volumizing Collection. My hair is shiny and soft. While I have gotten pretty good volumizing results from other products, I noticed right away that my hair actually kept it’s volume longer! 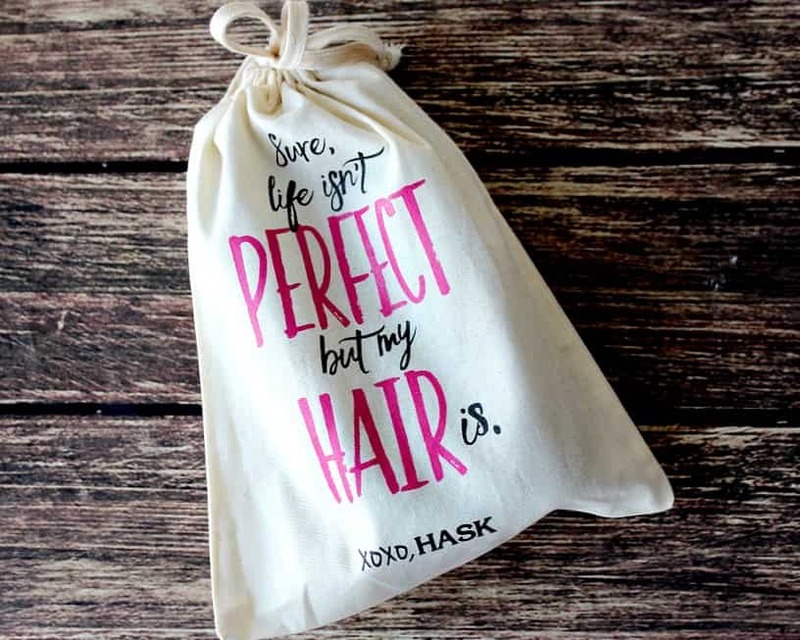 You can learn more about Hask by visiting their website, or check them out on Facebook, Instagram, Pinterest, and Twitter! If you’d like to try the Hask Chia Seed Oil Volumizing Collection for yourself, you can purchase it at Amazon.com! I got the Keratin Protien Smoothing conditioner and the soothing shine oil last week. I am loving the combo. Good stuff. Thanks Sarah! I am definitely loving this brand right now!